Prim Perfect is having a party! Because we’ve got a lot to celebrate! Later today we are relaunching Prim Perfect magazine. There’s a whole new look, and new features (as well as some old favourites). You’ll get even more gorgeous eye candy from our photographers – and great articles from our writers! And in addition, we are migrating our website from here at wordpress.com to a whole new site at www.primperfect.net. It’s still a wordpress site, but hosted by ourselves, which will make it easier for us to add a range of new features. We’ll be combining the old primperfect.net website with the blog to make for a smoother, more integrated feel. It’s where you’ll be able to read about Designing Worlds shows too, with links to our other media productions, and our other activities. And if you’re a current subscriber to the blog, don’t worry – we’ll be transferring everyone across later today! So – as we are a home and garden magazine (as well as so much more, we like to think! 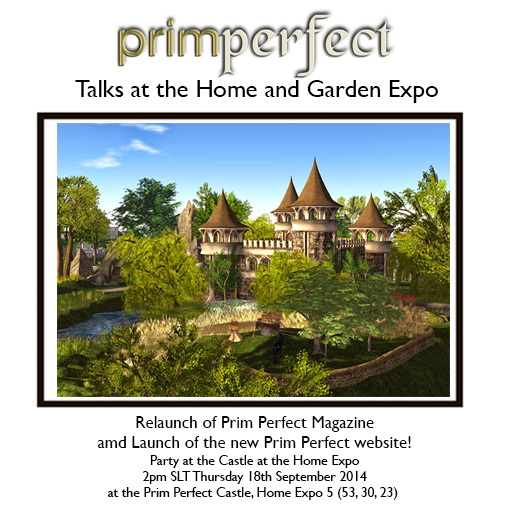 ), we’ll be holding a launch, relaunch and celebration party from 2pm – 4pm today in the Prim Perfect Castle at the Home and Garden Expo. We’ll see you there! 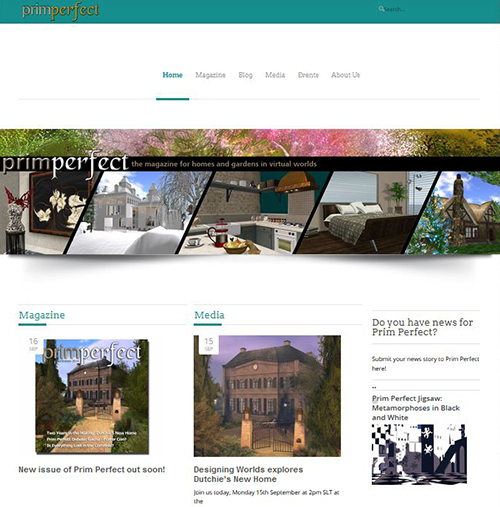 Next Post: Prim Perfect magazine is back – with a whole new look, and a brand new website! Pingback: Prim Perfect is having a party! (Post-96191) - [O.L.D.] Old London Docks - Best Second Life Fashion & Lifestyle Blog Feeds!